Ten Speed Press, 9781607746645, 160pp. Mamma Chia founder Janie Hoffman presents recipes for incorporating superfood chia seeds into flavorful smoothies, snacks, meals, and desserts. Chia is a powerful little seed with incredible health benefits. 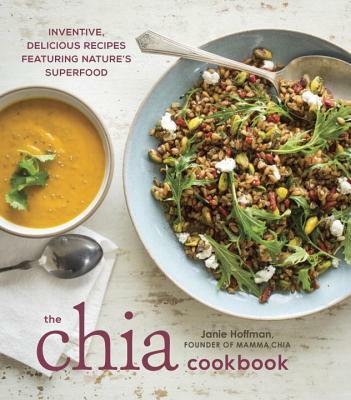 In this mouthwatering recipe collection, Mamma Chia founder Janie Hoffman invites you into her kitchen to learn the secrets of incorporating this ancient superfood into modern meals from breakfast to dinner and happy hour to dessert. JANIE HOFFMAN is the founder and CEO of Mamma Chia (www.mammachia.com), an organic line of chia-based foods and beverages. A leader in the natural foods industry, Hoffman is the author of Chia Vitality and has been featured in the New York Times, O magazine, Everyday with Rachel Ray, Details, Vogue, Real Simple, Prevention, Glamour, and the Today show. She lives with her husband on a small avocado farm just outside of San Diego, California.